ULSTER BLINDSIDE FLANKER Stephen Ferris has been linked with a one-year switch to play in Japan’s Top League, it is reported today. Capped 35 times for Ireland, Ferris’ current central contract with the IRFU expires at the end of June. With the IRFU in no apparent rush to renew the 27′year-old’s deal, the BBC report that an unnamed Japanese club is among the potential suitors for Ferris. The flanker will miss the rest of this season after suffering a setback to the ankle injury he sustained in action for Ulster in November. Meanwhile, Andrew Trimble is on the verge of re-signing with the union. Ulster are set to confirm a new deal for the winger this week. Last month, Trimble was tentatively linked with a move to Top 14 club Stade Francais. Email “Eastern promise: Stephen Ferris linked with Japan switch”. 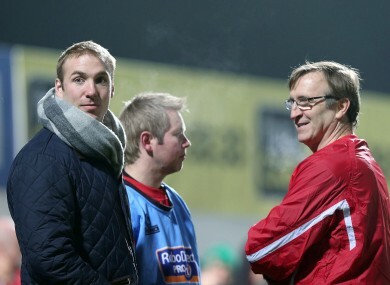 Feedback on “Eastern promise: Stephen Ferris linked with Japan switch”.